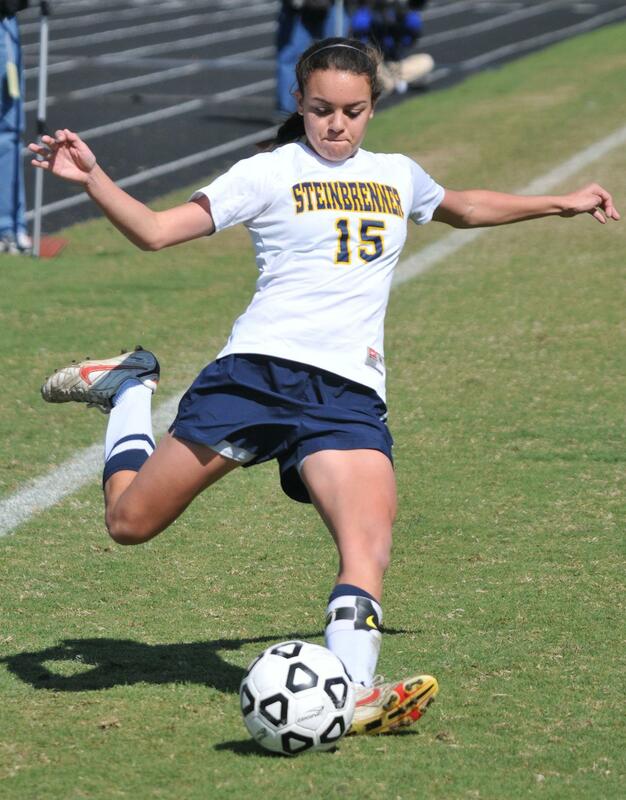 TAMPA – It took until the second half to finally break the scoreless tie, but freshman Jessica Taylor found the back of the net to put Steinbrenner on path for what would end up being a 3-0 route over the Alonso Ravens. Taylor’s goal on the second half free-kick would lead to a pair of scores by senior Cici Gonzalez and Alexis Bredeau late in regulation. The Ravens would fail to answer, even through mutliple shots on junior goal keeper Stephanie Hirsch, who recorded her third shutout on the young season. The team will travel to Freedom to open district play on Thursday night, but will be without Gonzalez, Bredeau and Hirsch because of prior committments. Junior Eleanor Wilson will get her first start of her career against the Patriots, who have won two 5A district titles in as many seasons.